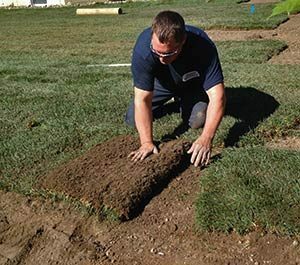 Extra efforts to properly prepare your site pay off… Excellent sod + excellent site preparation = excellent results! Clear the site of all building materials (wood, cement, bricks, etc. ), as well as any buried stumps, rocks, stones or other debris larger than 2-3 inches in diameter. “Rough grade” the area to eliminate any drainage problems. Slope the grade away from building foundations, reduce severe slopes and fill low-lying areas. Use a tractor-mounted box blade for rough grading large areas. Use hand tools for small areas. Rough grading may uncover more debris to be removed. Initial tilling to a depth of at least 2 inches should be completed prior to adding any soil amendments. This will control most annual weeds, alleviate subsoil compaction, permit bonding of the topsoil to the subsoil, improve root penetration, air exchange and water movement. If no new topsoil is going to be added, till to a depth of 4-6 inches. Test the soil pH. 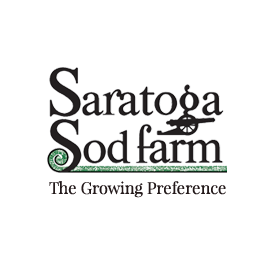 Bring a soil sample to your local Garden Center or county Cooperative Extension office. Turfgrass usually grows best in slightly acid soils (pH of 6.5). Alkaline soils (pH of 7.5 or higher) can be improved by adding sulfur or gypsum. Acidic soils (pH of 6 or lower) can be improved by adding lime. If amendments are added, work them into the top 3-4 inches of the soil. “Finish grade” the entire site, maintaining the rough grading contours and slopes. Final grade should be approximately ¾” below driveways and sidewalks. Apply “starter” fertilizer, such as 18-23-12 (N-P-K), at the recommended rate. The middle number, Phosphorus, encourages root growth. Ideally, rake the fertilizer into the top 1-2 inches. If your soil is loose and fluffy, you may want to roll the area with a lawn roller to settle the surface. Fill in any low spots. 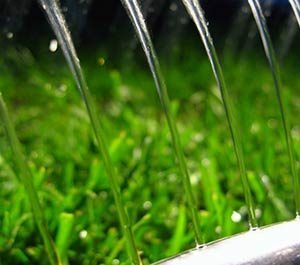 If time permits, allow the area to settle further with rainfall or by applying irrigation. 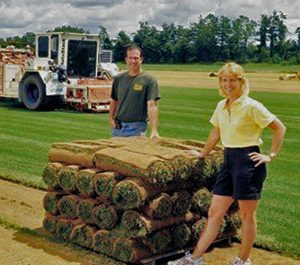 Your site is now ready to install sod!